The best new, affordable high-end DAC for Pros and Consumers. Initially I intended to purchase a 2nd interface for my secondary location, where I mostly just relax and do a little bit of work on the side. However, upon finding out that my favorite audio interface brand released something in between a pro and consumer DAC product it immediately caught my attention. Having owned the RME UFX interface for a while now, I knew what I was getting - a very well made, very high quality and easy to use product. And I wasn't disappointed. I only had to wait a while for delivery as it's constantly getting sold out of stock - something of a testiment to the product's value. I would whole-heartedly recommend this product to any consumer or professional in the world. 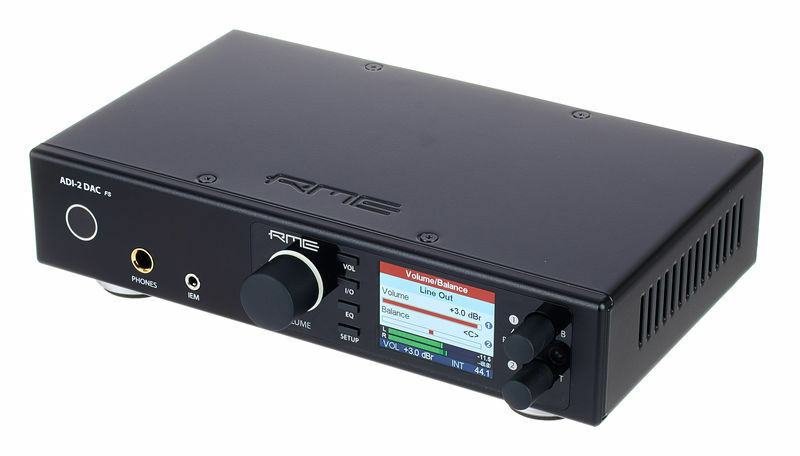 RME outdid themselves again. This little DAC is simply put ..incredible. ID: 430930 © 1996–2019 Thomann GmbH Thomann loves you, because you rock!